A documentary, yet untitled, about Muhammad Ali is heading to HBO, and award-winning filmmaker Antoine Fuqua and NBA star LeBron James are at the helm. 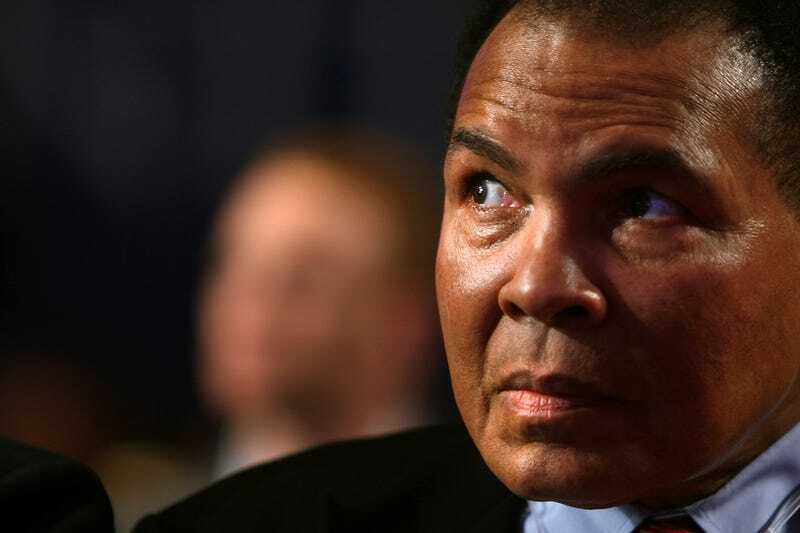 HBO announced the documentary Monday, and both Fuqua's and James' respective production companies will have a hand in bringing Ali's story to life. "It's tough to put into words how much it means to me to be a part of this project honoring the legacy and telling the extremely important story of the great Muhammad Ali," James said in a press release. "He transcended sports and used his platform to empower people, which paved the way for all athletes and people of every race and gender that came after him, myself included." During James' recent Sports Illustrated Sportsperson of the Year acceptance speech, he remarked how Ali's life was an inspiration to him. Fuqua expressed similar sentiments. The documentary has the approval of the Ali family and will include archival footage and "gorgeous, cinematic re-creations." Although no release date has been set, fans of the boxing great definitely have something to look forward to.